Radios playing all Kishoreda songs!!! Tune in and enjoy this special day for us Kishore fans. This entry was posted on Tuesday, August 4th, 2015 at 7:43 pm	and is filed under Specials. You can follow any responses to this entry through the RSS 2.0 feed. You can skip to the end and leave a response. Pinging is currently not allowed. Who would have thought that songs sung by you even 60 years back are equally hummed bt todays youth. Who would have thought that songs sung by you will be bread and butter earner for so many families today. God’s unique creation – thy name Kishore da. 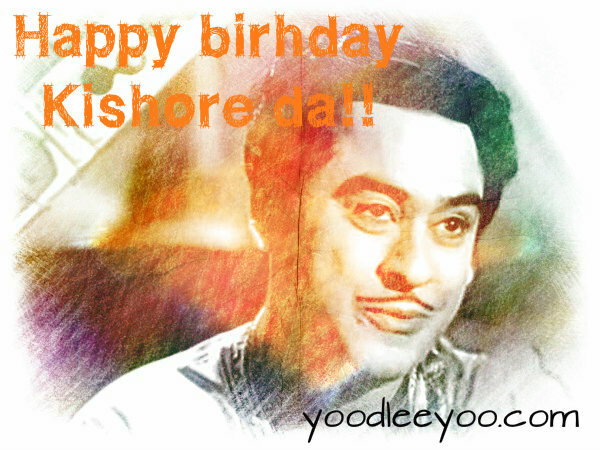 Happy 86th Birthday to Mahaguru Kishore Kumar!You will remain the greatest and most popular artist forever.